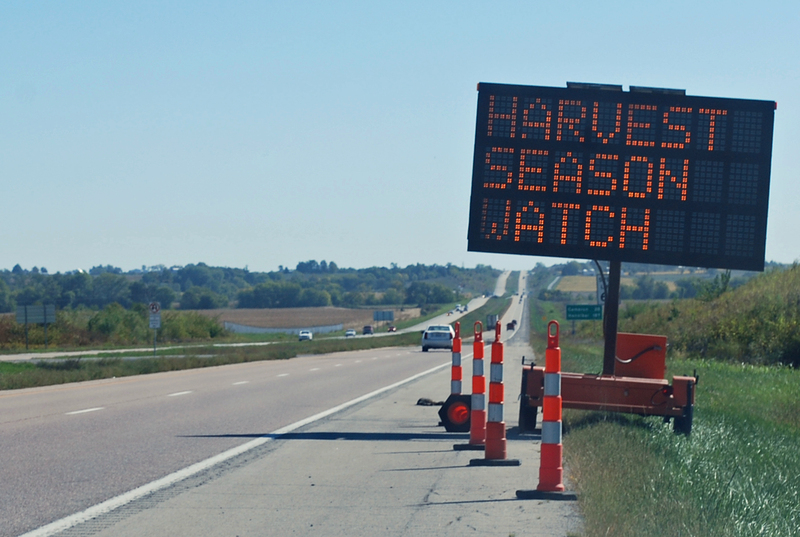 Harvest season is in full swing throughout the midwest. 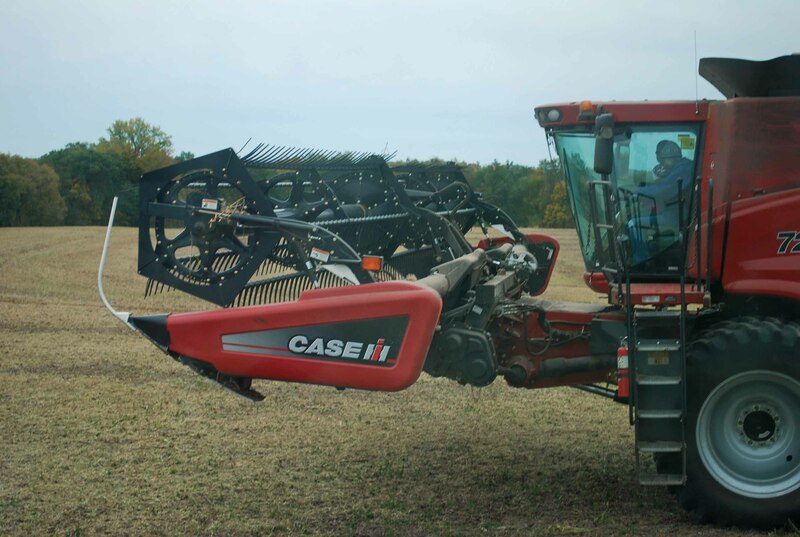 As those tractors, carts, wagons, combines, head wagons, semis, augers, and pick-ups move from field to field, here are a few things farmers want you to know about safety during harvest! We don’t like it any better than you do, but sometimes farm equipment must drive on the highway. Dealing with the slow-moving machinery that produces our food is just part of eating! First, stay back for the sake of your vehicle– you don’t want beans smacking your window and the farmer can’t see you very well anyhow. Be patient. 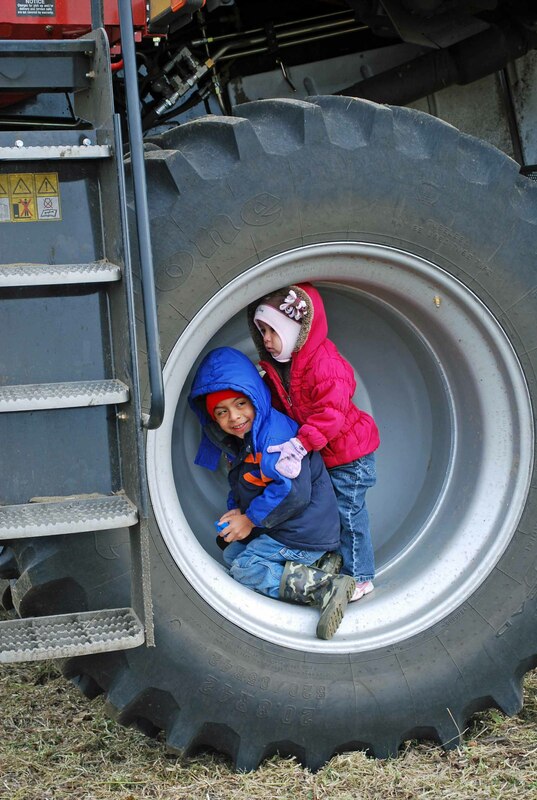 Most farm equipment won’t be driving on the highway for a long way. As soon as a back road is available, the tractor or combine is probably going to turn off. When you are traveling on a back road, keep a close eye out. If you see a pick-up or car with flashing lights at the top of a hill watch out! This is the signal to warn you that a large or slow-moving machine is coming towards you on the road. Slow down or even stop and get as far over on the shoulder as you can. Don’t ignore flashing lights! Some neighborhoods are built where a field used to be and are still surrounded by farm ground. 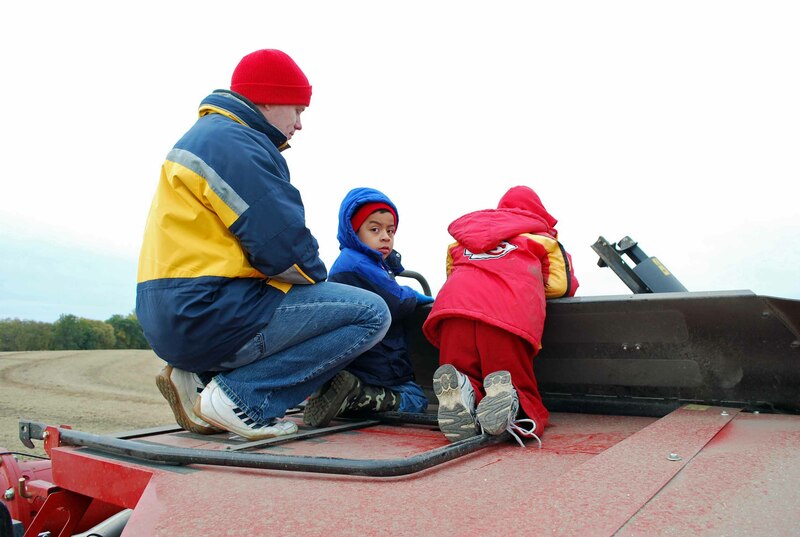 Many farmers are happy to talk to families and kids about the equipment they drive or what they are doing, but never approach a farmer while he is driving. Wait until he has fully stopped before you approach your neighbor to ask a question! And never play on parked equipment! Farmers sometimes need to leave combines and carts in the field over night and come back to finish later, but these are not giant toys! 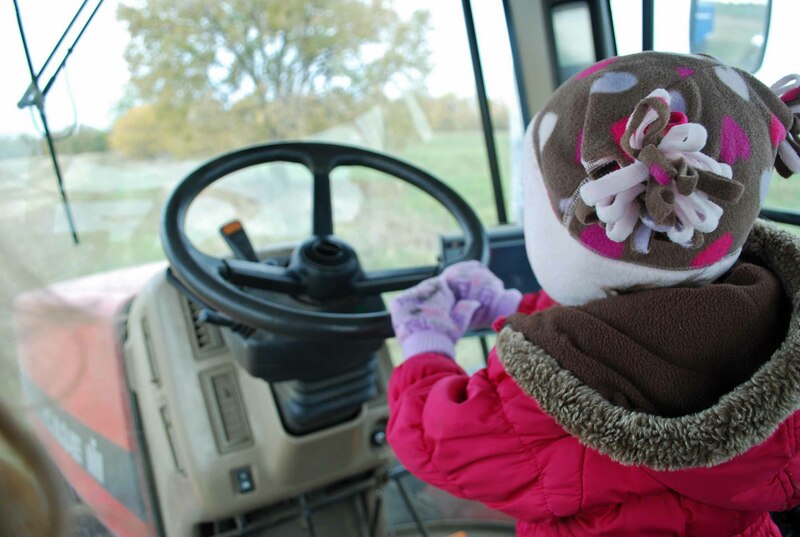 But if you ask nicely you just might get a chance to sit in the driver’s seat with the help of the farmer! 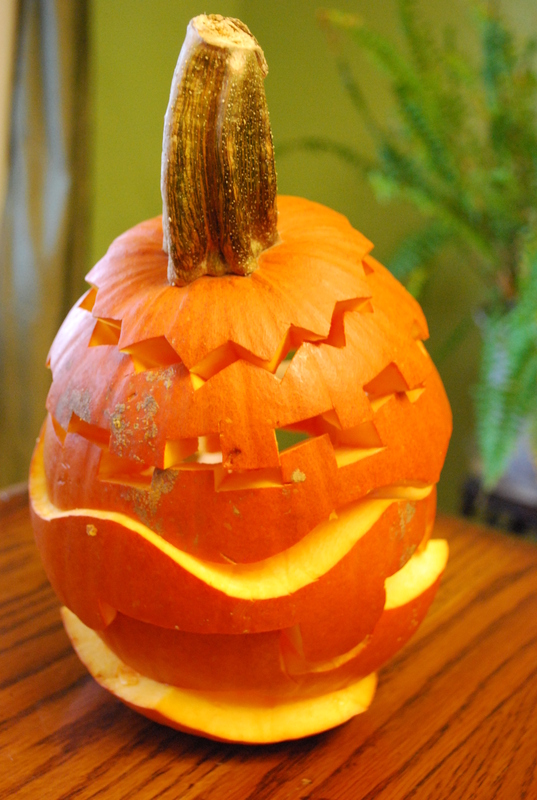 So from our farm family to yours, be safe!